Below is a quick list of some of the positive changes that can be made with Hypnosis or Emotional Freedom Technique. All athletics involve much practice. Keeping the mind clear of doubt and keeping the expectation up is not always easy. I can help slow the images down so the athlete can see the process more clearly and, therefore, make any minor corrections. They may find they want to create, reestablish or improve upon their efforts in order to maximize their excellence. 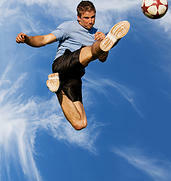 Read more about sports excellence through sports hypnosis. With one session of guided EFT tapping with Eric Singer you can eliminate or reduce daily anxieties as well as relief from deep-seated negative emotions that may have escaped you for years. Click to read more about the Emotional freedom Technique (EFT). Hypnosis can help you make constructive changes in behavior, trading undesired results to more fulfilling outcomes. Hypnosis is the most rapid method to align your conscious desire with your sub-conscious motivation creating comfortable behavioral change. Through hypnosis, Eric Singer can help you make these positive changes and create constructive outcomes. Below are multiple ways Hypnosis can help you create the change you desire. Click to read more about hypnosis for behavioral change. Picturing yourself being healthy is the key. Creating a positive and healthy self-image supports our own body's health. I can help you maintain those healthful images in your subconscious mind to preserve your body's natural healthy state. The most potent tool in hypnotherapy is creating a positive self image in our mind. A positive self image allows our subconscious to have a destination. This positive self image that we create is a road map for the subconscious and becomes our proposed behavior. With the knowledge that the subconscious acts as a goal machine, it that image that the subconscious moves to achieve. We begin with helping you create a schedule and begin a pre-sleep routine. You will begin a process to eliminate thoughts that might keep you awake. 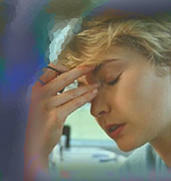 Through hypnosis, you will be given words that will put you into a relaxed state so you will sleep through the night. We work towards increasing your number of hours of sleep as well as the fitfulness of your sleep.​ You will wake up feeling rested and refreshed. Understanding why you act a certain way and being able to predict the responses and reactions of other people can be a useful tool. A system developed by Dr. John Kappas, founder of the Hypnosis Motivational Institute, defines two behaviors, the thinkers and the feelers. These behaviors define how we respond to certain situations and process information. Hypnosis is a perfect tool to help you prepare for an event that is especially stressful. Some examples may be giving a speech, or a medical procedure or possible a talk with the boss. In hypnosis, we can take the person through the experience in a nice, relaxed, and confident fashion with a positive outcome. The mind will not distinguish between this fantasy and the reality, therefore, believing that you have already done this stressful event. When it comes time for the event, your mind will think it is going through the event for a second time, feeling more relaxed and confident. We communicate to our mind in the form of pictures or images that we send into our mind. The images start off slowly as children, but by the time we are adults, they move very quickly. One of the byproducts of hypnosis is allowing the client to slow these pictures down. It is then that we begin to see a junction where two paths meet, and then we can choose one behavior over another. This empowers us with choice and eliminates stress and the feeling of helplessness.